My favorite time of the month has begun. That middle part of the month when my beauty subscription boxes/bags begin to arrive. First up this month was my Ipsy bag! 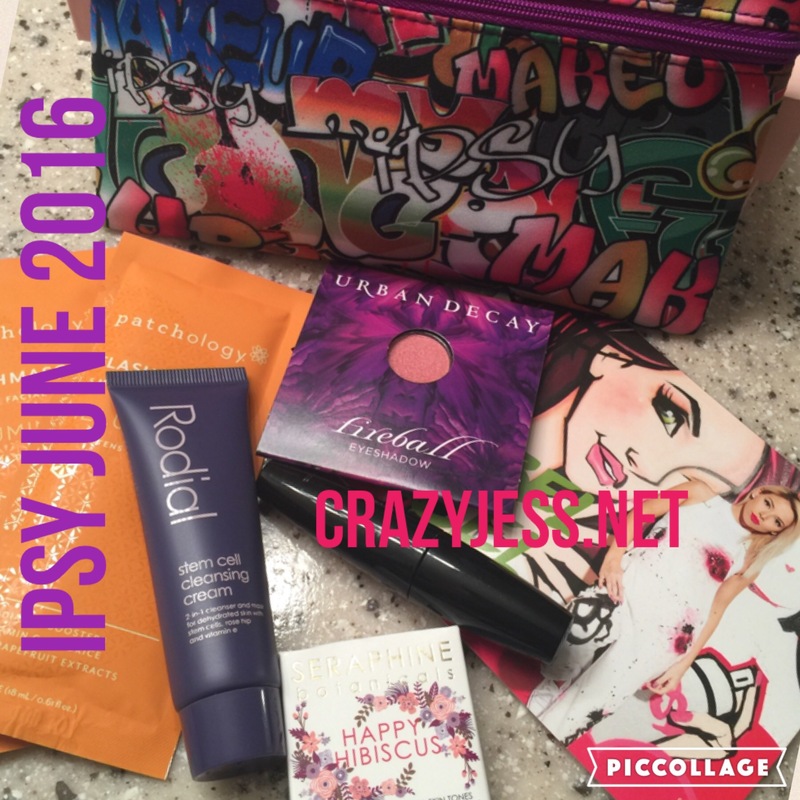 Ipsy is a monthly beauty subscription bag ($10 a month) with a mix of full size or deluxe sample size beauty items. It’s super cute. But yet again the same exact size as all the other ones so not sure what I will so with this bag. There isn’t a product card in the bag explaining each item and where you can buy them and their cost. Many other subscriptions do that and it is super helpful. Not a total deal breaker though but it would be nice. The eyeshadow received is a small pan that looks like it should be inserted in to a palette or something. A palette that I don’t have. So I’m not sure I understand how to store this thing? Maybe I’m a moron. What are you doing with yours? Keeping it in the plastic container? I also am puzzled by the Rodial facial cleanser. Where are these “stem cells” sourced from exactly? 😜 I suppose I should do some research but ain’t nobody got time for that. What did you think of your Ipsy bag this month? What did you receive that I didn’t receive? What were your favorite items?